We’re continuing on with our mini series of Watercolor Christmas trees. 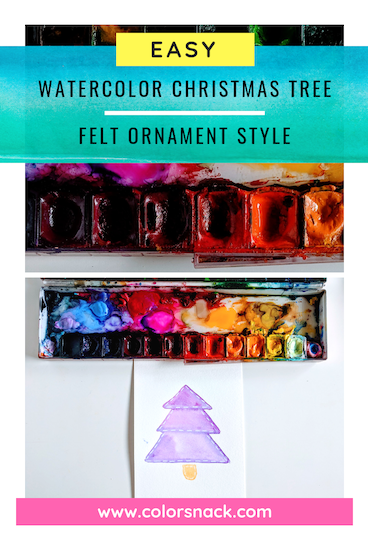 These are sample video lessons from my newest Skillshare class called “Watercolor Holidays: 24 Ways to Sketch a Christmas Tree“. Earlier this week, I had published the second part to the class and you can find it here. The second part is great for intermediate students, as it has a little more detailed watercolor sketches. The felt ornament style tree is super fun to sketch. It’s a fun take on a traditional tree and I challenge you to try it with different colors or shapes! I use mostly watercolor paints here (specifically I used Daniel Smith Wisteria Watercolor) and am adding little details with a Posca marker at the end. 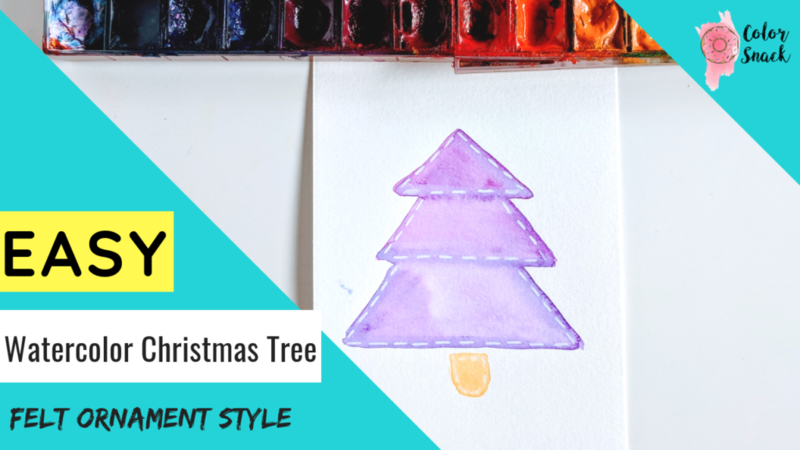 Watch the video below with full instructions on how to sketch this watercolor Christmas tree. Have an art day & happy sketching!